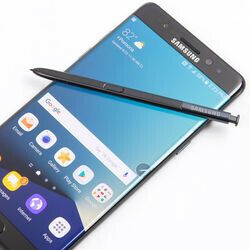 By now most users who already got a Note 7, might have heard of a little recall that Samsung has issued on their poor new toy due to battery heat-up problems that may lead to explosions. The issue seems to be with cells originating from Samsung's own SDI subsidiary that produces up to 70% of the Note 7 batteries. That's apparently the first time Samsung has made so many pieces in-house, as SDI started developing sealed batteries in 2014, but wasn't ready for mass production in time for the Galaxy S6 or S7, so Samsung used mostly LG Chem and the Chinese ATL units for those. 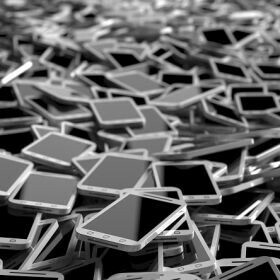 It seems that SDI hasn't been ready for the Note 7 release, either, yet Samsung sourced more than two thirds of the phablet's juicers from its homeboy. 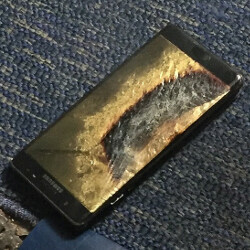 Actually, SDI produces the cells on all of them, but the packaging for the problematic ones is done by ITM Semiconductor, which seem to be the main culprit for turning a fast-charging Note 7 into an exploding kitten. The remaining 30% of the battery cell packaging is outsourced to ATL, as Samsung can't get SDI-made batteries certified in China, even locally produced ones, presumably as a trade protection for electric car juicers sourced from Chinese companies. 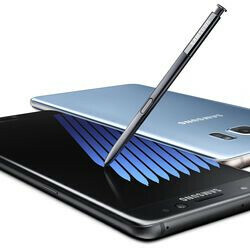 In any case, all Note 7 units made for China reportedly have the ATL batteries inside, and these don't seem to cause any problems, as Note 7 sales there will continue unabated and on time. 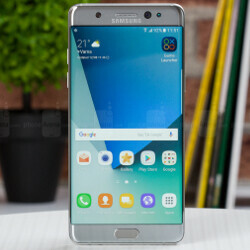 Granted, most of the units with "safe" ATL packs are destined for China, Hong Kong or Macau, where sales haven't stopped, but some might have been scooped by third-party vendors or importers, so if you want to know exactly what company made the juicer in your Note 7, and whether it has less of a possibility for extreme heat-up, just check the back of your device, or go to the Phone info part of your Settings app. If it says "manufactured in China," there is a nice chance it will have ATL-packaged battery cells inside, though T-Mobile, whose model is made in China, is also taking part in the voluntary recall that the other US carriers issued as well. If it says "manufactured in Korea" or "in Vietnam," well, we'd return the unit to the vendor. Samsung already halted orders for batteries from its embattled SDI subsidiary, which sent its shares into a tailspin today, so all future replacement units of the Note 7 will probably come with ATL pieces or a third sourcing inside anyway. #BatteryGate was an inside job, and fanboys cannot melt steel beams. oh god it's the dual source name game again. Samsung caused Chernobyl, and Apple brought down the Soviet Union! It's really that easy to see if my note 7 is safe from literally blowing up in my face? Easy is a relative term. My almost 50 year old eyes couldn't read the small print on the back. Oh, it kills me that my eyes aren't what they used to be. I had 20/14 until a few years ago. And amateur astronomy is my hobby, so my vision is important to me. Got another smart phone, snap a shot of it then zoom. My eyes are the same. That's my plan. I just don't have one handy right now. I do that all the time with fine print if my reading glasses aren't handy. My eyes were fine at 44, but at 45 small print became hieroglyphics, and it has just gotten worse the last two years. This idiot Samsung CEO won't let that happen. Get rid of that dopey. The dopey idiot turned thier Note series looking like Thier S Series. He killed the flat rear and back design to compromise grip and sculpture, rather than slick and modern stylish look. Pathetic DimeBar. But your spelling definitely won't. I thought it said Hiroshima. I honestly think this really hurt consumer trust in Samsung this time around. That's a shame considering the great device they put out. I'm sure it did but going forward this will be company to trust. They will deal with this and the quality control will be tougher then ever. Maybe all companies will take notice and insure this battery tech is safe. Yup. From a safety point, the battery is literally the biggest concern in a phone. Yep. I had a boss who didn't fire a co-worker who really screwed up, and his reasoning was that this guy was going to be the most conscientious employee from then on, because he knew he was on thin ice. It's nice when that mindset actually pans out though. I had two employees that my boss wouldn't let me can...he wanted to give them more of a chance (which I usually agree with in most cases). Needless to say...these guys ended up losing their jobs eventually, and each time my boss said, "Why didn't I listen to you sooner?" lol. He just let the guy know that next time he's gone. It worked. So now we know it's not the actual batteries but the packaging that is insulating them far too well. Perhaps there's other users for such good insulating material like using it to insulate buildings and keep them nice and toasty warm inside this coming winter. Better yet how about they make a new line of extra warm winter jackets. ..when made in China means more quality. How the tables have turned eh world? As you could read, it's not the actual battery which is at fault, but the packing. That has nothing to do with China's manufacturing quality.